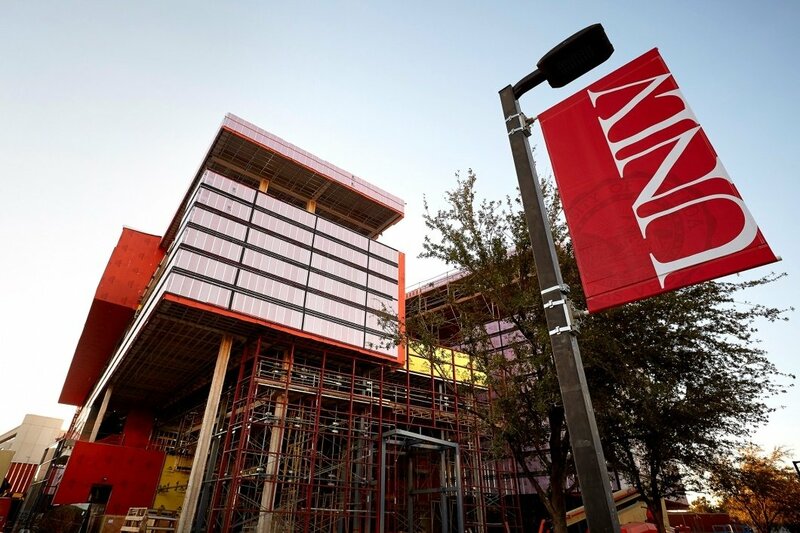 UNLV is nearing completion on its $59 million, 93,500-square foot Hospitality Hall. The massive investment is partially made possible thanks to several Las Vegas Strip casino resorts, which will someday benefit from the college’s prestigious hospitality training program’s graduates. The William F. Harrah College of Hotel Administration received $24.4 million from the Nevada government in 2015 to construct a new home for its nation-leading hospitality program. 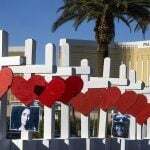 But without several of Vegas’ most well-known gaming companies and entrepreneurs, the project wouldn’t have been possible. To bridge the gap between the state’s commitment and UNLV’s $59 million vision, Caesars, Las Vegas Sands, MGM Resorts, Boyd Gaming, Station Casinos, and Konami Gaming all donated at least $2.5 million to be considered a Hospitality Hall “Founder.” In addition, the J. Willard and Alice S. Marriott and Engelstad Family foundations also gave $2.5 million each. Hospitality Hall, located just steps from the Vegas Strip on the UNLV campus, will provide the resources for students to learn firsthand the fast-paced world of hospitality. The building will be the primary home for 2,500 students enrolled in the college. “Having a world-class hospitality facility and program will allow for the further development of the future leaders in the hospitality and gaming industry worldwide,” Station Casinos owner Frank Fertitta III said during his 2015 donation. Harrah College alumni includes Food Network star Guy Fieri, MGM President William Hornbuckle, and businessman George Maloof. Las Vegas Sands, the company founded by billionaire Sheldon Adelson, gave the most money to Hospitality Hall. The owner of the Venetian and Palazzo committed $7 million over a seven-year period to the college back in 2014. “Las Vegas Sands is committed to creating positive and tangible benefits in the areas we care most about: our team members, our industry, and the local communities we call home,” Sands COO Michael Leven said at the time. Having a world-class hospitality program in Las Vegas is critical to casinos in staffing their thousands of positions with the top talent available. It’s much easier to hire a recent grad who’s already in the area and familiar with Sin City than it is to relocate an employee from another part of the country. 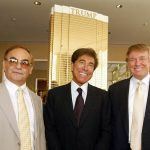 All the founding donors have ties to gaming, counting Marriott, as the hotelier has casinos at several non-US properties. The Engelstad charity is in Ralph Engelstad’s memory, a Vegas businessman known for his ownership of the Imperial Palace resorts, and for helping develop the Las Vegas Motor Speedway. Gaming Management: This concentration prepares undergrads for working on an actual casino floor, or managing a gaming facility’s operations. Restaurant Management: This discipline tackles all aspects of restaurant and foodservice management. Meetings & Events: Conventions, trade shows, and other various large-group events are the focused topic, as students learn and develop creative ways to market, attract, and host marquee exhibits. PGA Golf Management: This curriculum prepares students to work in the golf industry, both at resort-style courses or private country clubs.